He's really out to get you. This may be a bug due to him using the new sprite sheet that came with the Hamlet DLC, how interesting! What? I Never saw this before. I like how his shadow is a bone. 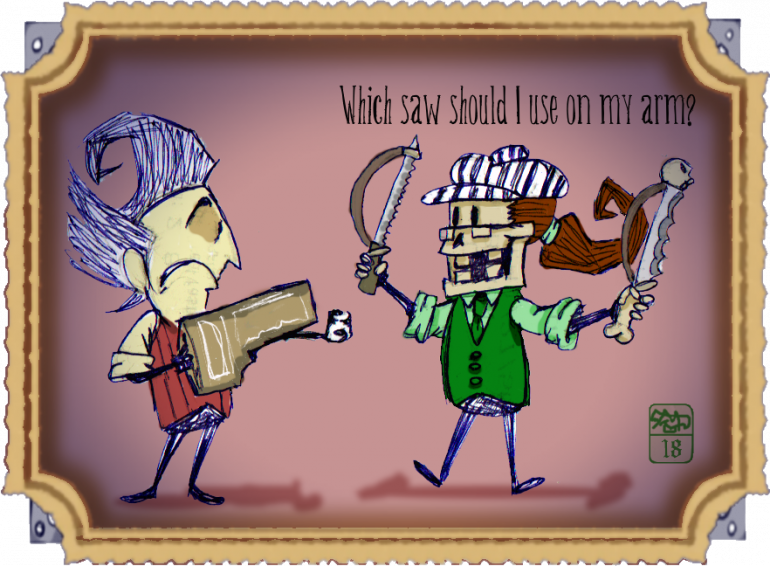 The second one made me think : is minespatch keeping all his weapons inside his bones? I was wondering about that myself because I saw it over there when you posted it. How the heck did it get moved over here? 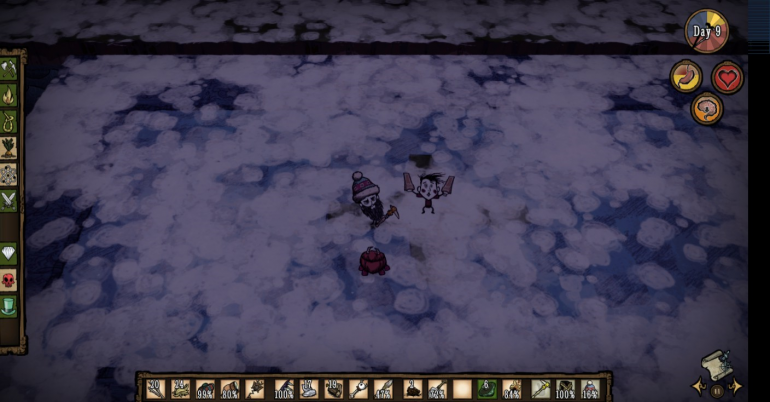 Moved to Don't Starve Bug Tracker. Hmm, @sosiskaKi, could you provide us with more information on your system specs, log, and what mods you are currently using? Also, please ensure that your computer monitor as well as your graphics card drivers have all been updated to the latest version. Is this about that stripe in the right? This is how Steam makes screenshots. The game itself looks pretty good. IDK why, but every my Don't Starve screenshot has same stripe. Anyway, I attached my system stats and logs under this comment. No mods, just pure Don't Starve.